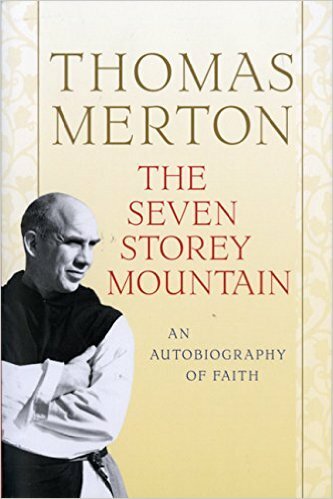 Last night I finished Thomas Merton’s The Seven Storey Mountain. He’s a lengthy writer and seems to leave no word unsaid. However, inside those long paragraphs and chapters is an intimate and critical look into his early life and eventual conversion from no belief system to making a lifelong vow to the Catholic church as a Trappist monk. The book was published in 1948, just a few years after Merton took his vows at the Abbey of Gethsemani in Kentucky (where I’ll be going for a weekend retreat in July). The time frame is important because much of Merton’s life was lived in pre-war France and New York, so there was a constant, ever-present threat of the war that we all know eventually played out. Merton was called up in the draft but was turned away for medical reasons. Buy The Seven Storey Mountain here.